Over the past several decades, natural medicine has increasingly become a part of the everyday treatment of many conditions, including anxiety and depression. With one in five Australians experiencing symptoms of anxiety or depression at some point in their life and the rising cost of prescription medications, along with the adverse effects and withdrawal symptoms that many suffer from, it is not surprising that many are exploring alternative avenues. Research on treating mood disorders with herbal medicine and supplements has increased considerably with evidence showing the efficacy of many treatments. Healing that addresses the whole person – body, mind, spirit and emotions! Integrating conventional and alternative therapies to prevent and treat these conditions and most importantly, to promote optimal health. Complementing psychological support, treatment with natural medicine for mood disorders such as anxiety and depression aims to reduce the associated symptoms, improve mood, enhance energy levels and feelings of vitality as well as optimising the patient’s nutrition, lifestyle and psychological health. Diet is such a powerful tool and so easily modified when aiming to optimise one’s health. A diet based on a variety of nutrient dense wholefoods should be followed by individuals of all ages for preventing and managing depression. Results from an Australian research study exploring the associations with fruit and vegetable consumption and improved psychological health have stated, “the happiness health links reached a peak at eight servings a day of fruits and vegetables. The improvements in mental health were seen within 24 months of increasing the amount of fruits and vegetables eaten.” Essential also is eating regular meals to stabilise blood sugar levels, as blood sugar irregularities have a major impact on our mood and behaviour. Regular exercise is said to be the most powerful natural antidepressant, displaying beneficial and long-lasting results. Suggested exercise is strength training, aerobics and yoga. Also beneficial are relaxation techniques such as progressive muscle relaxation therapy, deep breathing exercises and guided imagery for stress management, coping strategies for everyday stressors and overall calming of the mind, body and spirit. Hormonal imbalances may need addressing – depression can be a symptom of thyroid disease, adrenal or hypothalamic dysfunction. Many herbs are specific to hormonal health and together with changes to one’s diet and lifestyle, hormonal imbalances can be restored. Nutrient deficiencies should be considered – it only takes a single nutrient deficiency to alter brain function and induce depression or anxiety. Together with alterations to diet, supplementing can be very beneficial. 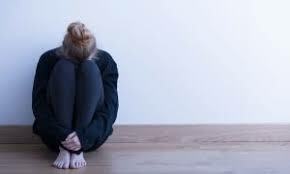 Results of studies have found S-adenosylmethionine (SAM-e) to be safe and effective in the treatment of depression as it is said to increase the amount of serotonin in the brain just as some antidepressants do. Evidence-based data also suggests supplementing with omega-3 fatty acids to be effective in the treatment of mood disorders. Herbal medicine can offer considerable assistance for anxiety and depression. Available evidence suggests that nutritional & herbal supplements are effective methods for treating anxiety & anxiety-related conditions without the risk of serious side effects. Herbs such as Piper methysticum (Kava) provide effective relief from symptoms with minor or no side effects in comparison to pharmaceutical treatments. Ginkgo biloba (Ginkgo) is said to be not only beneficial in treatment, it also minimises the side effects of these medications. The emphasis on individualised treatment is a significant advantage when treating with herbal medicines, as the practitioner is able to address the specific needs of each patient accordingly. With the purpose of stabilising and elevating mood, some herbs used in the treatment of anxiety and depression work directly on restoring function and integrity to the nervous system, creating a toning and relaxing effect. Others concentrate on restoring the body’s natural response to stress, increasing resistance to physical, environmental and emotional stressors. Nutrition is the essence of health and we now know that diet is as important to our mental health as it is to our physical health. Each day we are learning more about the connection between the gut, inflammation, the immune system and brain health. Consuming a poor quality diet and eating highly processed junk food encourages constant low levels of inflammation throughout the body – this inflammatory response can disrupt the processes in the brain that helps to regulate our mood. A healthy diet, especially a nutrient dense wholefood diet will help to reduce inflammation and positively impact the immune system and gut microbiota. The main constituents of the diet should be plant foods such as vegetables, salads, fruits, legumes, wholegrains, raw nuts, fish, lean red meats and healthy fats, such as olive oil. Saturated fats & refined sugars have a very potent negative impact on brain proteins that we know are important in depression. The same proteins protect the brain against oxidative stress and promote new brain cell growth. Also impacted by saturated fat is the stress response system, significant in both anxiety and depression. Adequate protein in the diet is essential for the availability of amino acids as well as for the synthesis of neurotransmitters and regular consumption of fatty fish (rich in omega-3 fatty acids) is associated with a reduced incidence of depression. Stimulants, such as caffeine, sugar and alcohol that exhaust or depress mood should be avoided.